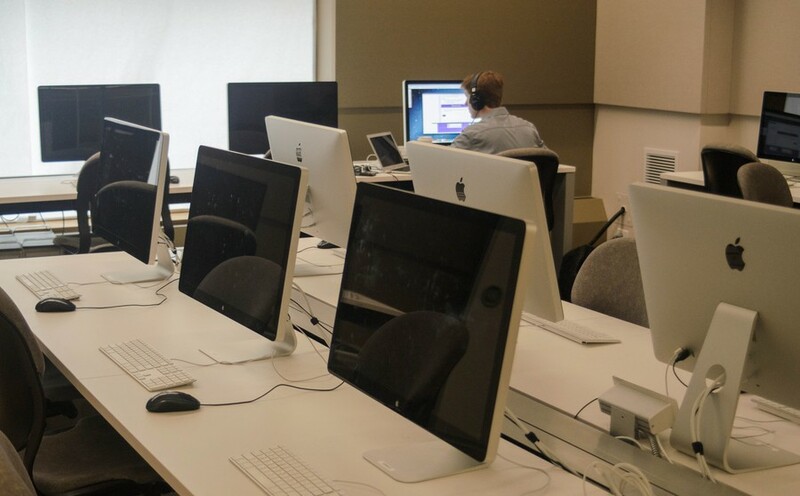 Previously known as the MacLab in the basement of the Regenstein Library, the newly renovated and renamed Computer Science Instructional Laboratory (CSIL) has set up shop in the first floor of Crerar Library. CSIL officially opened September 30, just 18 months after the idea for a new space was first broached in May 2012. It features four separate labs, each equipped with 20 new computers, whiteboards, and projectors, with a layout designed to allow instructors to easily interact with their students. According to Director of CSIL William Sterner, the size of each computer science class that uses the lab would ideally be 20 students for better instructor-student interactions, but the walls can retract to combine two lab spaces for larger classes. Two workgroups of six computers are also located outside of the main labs so students can use them while classes are taking place. The idea for a new lab space was born out of a collaboration between the College, the Computer Science Department, and Crerar Library to better accommodate a growing computer science program. Enrollment in the program has increased by 20 percent this year after nearly tripling between 2009 and 2013, Sterner said. CSIL, like the old MacLab, is open to all University members and is staffed by undergraduate student tutors, who are available to help students and faculty use the four labs. However, it has slightly different hours from Crerar: while Crerar opens at 8 a.m., CSIL opens at 9 a.m. weekdays, 10 a.m. on Saturday, and noon on Sunday. In addition to providing assistance to lab users, the tutors will teach “mini courses” about various computing topics, like using a UNIX operating system or programming with MATLAB. These courses are usually held four or five times each quarter for members of the University community. Heavy construction was minimized during the move to Crerar, thanks to walls that could easily pop into place, according to Barbara Kern, co-director for science libraries. This allowed the library to remain completely functional and open during construction this past summer. Students accustomed to the quietness of Crerar may be worried that the addition of CSIL to the first floor and the interactive nature of the space may be too disruptive. However, Kern reassured students that Crerar’s famously quiet environment will still be maintained on the second and third floors.